General Hospital (GH) spoilers tease that the ABC soap may have dropped another big clue about the real Jason Morgan. 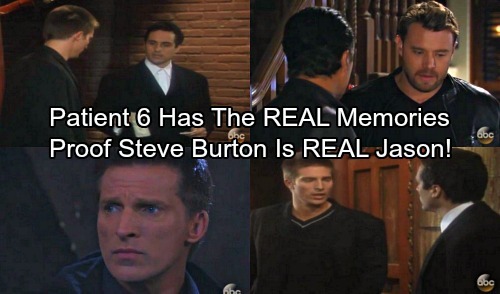 Thursday’s episode brought some emotional moments for Patient Six (Steve Burton). We saw classic Jason reflecting on powerful times in his history. Tears filled his eyes as he thought back to both fond memories and painful ones. It seems there were several good reasons for these flashbacks. First, they fill in some gaps for new viewers and serve as a refresher for longtime fans. GH is doing a nice job of tying the past with the present. Even if you weren’t watching during Steve Burton’s previous years on the show, they’re telling you what you need to know. 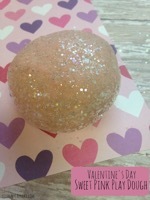 However, the flashbacks accomplish other goals as well. General Hospital is setting classic Jason up as the man to root for. They’re using these memories to let us know how he’s feeling and what’s running through his mind. The focus is definitely on classic Jason and how much he wants to get his life back. Soaps tend to lead fans in the direction they want them to go. By creating all this sympathy for classic Jason, it could mean that he’ll be confirmed as the real deal eventually. Meanwhile, they’ve been offering hints that Billy Miller’s Jason could turn out to be Drew. GH is showing you what to believe if you watch closely. That was evident in the way those flashbacks played out. Again, this story is being told from classic Jason’s point of view. That’s why we saw his memories play out in a very vivid manner. He closed his eyes briefly like he could feel them deep within him. It was like classic Jason was back in those moments once again. When Sonny thought back to giving classic Jason $40 for the cab, the flashback started at his place. It finished with classic Jason thinking of the same thing on the footbridge. Patient Six already alluded to his strong connection with Sonny. He assured Ava (Maura West) knew how Sonny would think and behave. The flashback proves that. General Hospital is letting us know that there’s still a deep bond between them, even if Sonny doesn’t realize it yet. Billy Miller’s Jason also remembered the note’s details, but it was more like a list of facts for him. That could be an indication that he’s the twin with implanted memories. General Hospital spoilers say the drama’s going to get even crazier down the road. We’ll give you updates as other GH news comes in. Stay tuned to the ABC soap and don’t forget to check CDL often for the latest General Hospital spoilers, updates and news.